While the kid practices its climbing skills, this adult mountain goat’s coat is just starting to shed. By summer its smooth coat will have replaced the wooly fur that it relies on during the harsh winters spent high up on rocky mountainsides. 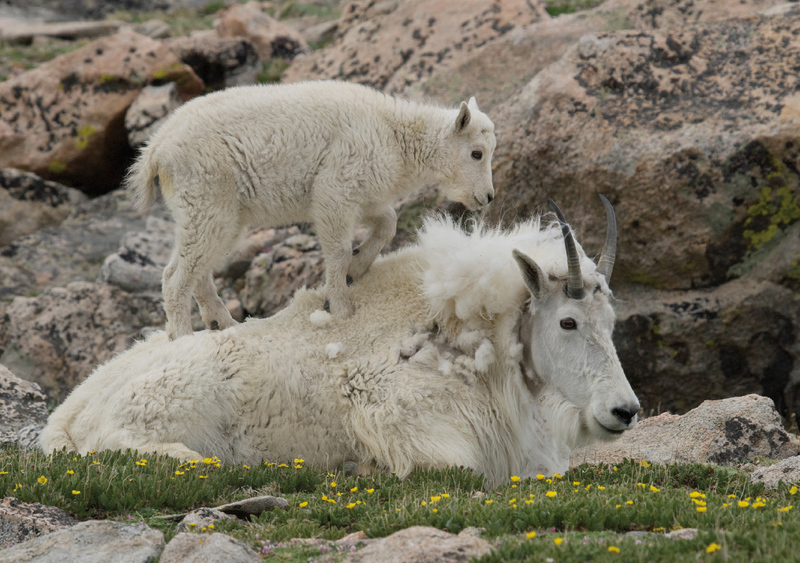 Both males and females have horns and beards that grow as they age, but this mountain goat (Oreamnos americanus) is likely a female, since nannies spend much of the year with their kids while the billies tend to live alone much of the year.